I have always been delighted with the graceful form, vibrant colour and modernist shapes that constitute the very personal aesthetic of the landscape architect Steve Martino. Simple selections of form, plants that hold the space visually and structurally, are enhanced by bursts of colour and strongly toned contrasts. 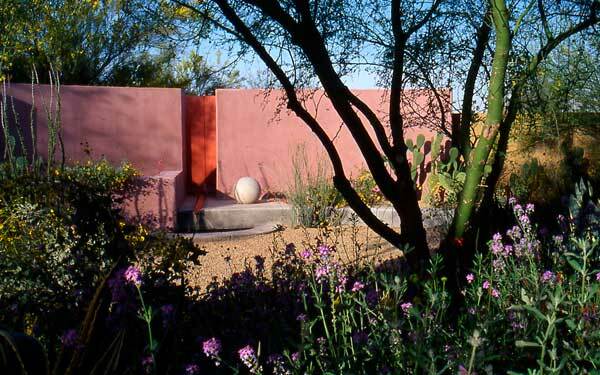 Below is a selection of garden projects that marry formality with the poetry of desert light. The wild and sharp features of the planting, organised against the planes of built and naturally occurring colour, are some of esterni's favourite juxtapositions in residential garden design.